Tuesday on Fox News' Fox Report with Shepard Smith, Trace Gallagher discussed the voter purge in Florida but he failed to mention the purge at all instead claiming the federal government was suing Florida simply because Florida wanted to review voter rolls with the Homeland Security database. "The Justice Department is suing Florida over the states plan of checking its states list of registered voters against an immigration database," said Gallagher. "The feds say the plan is illegal because it uses unreliable methods and because it is happening within 90 days of the August primary." This of course is not the case. The Justice Department is not suing Florida because Florida simply wanted to check it's list. They are suing because Florida decided to purge voters from their rolls. After identifying 182,000 voters, Florida pared down the list to just 2,700 potential names. Of those names, the state suggests they found 87 non-citizens on the voter rolls, 47 of whom had voted. 87 out of 182,000. That is a fraction of a fraction of a percent! While those voters should be purged from the rolls, the problem stems from the issue that Florida is also purging citizens who do not prove to the state that they are indeed citizens. This is mainly because Florida is using outdated information in their quest to suppress voters. Of course Florida claims the federal government denied them access to their immigration database which caused the delay in the purge, but that still doesn't erase the fact that Florida is in violation of the 90-day quiet period. Not only that, it is unclear just how Florida went about requesting the information. According to Rep. Jeff Miller (R - FL), Florida's Department of State has been requesting the information from the U.S. Citizenship and Immigration Services' Systematic Alien Verification for Entitlements database since at least September 2011. Miller insists that the federal government is wrong in delaying the release but it also brings to question just why the delay in the first place. Why did they not respond to Florida's alleged repeated requests? And why did Florida wait until late 2011 to verify voter rolls for 2012? Why not start earlier to guarantee the rolls would be accurate and there would be no complications arising that would impact federal deadlines? Isn't Fox Report supposed to be one of the "Fair and Balanced" news programs? They couldn't even get that right. 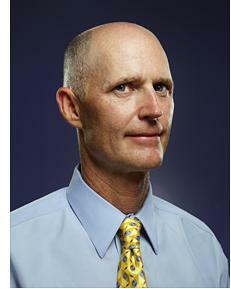 Looks like they are acting like the PR agent for Florida's crooked GOP regime. They are the PR for ALL the crooked GOP politicians!